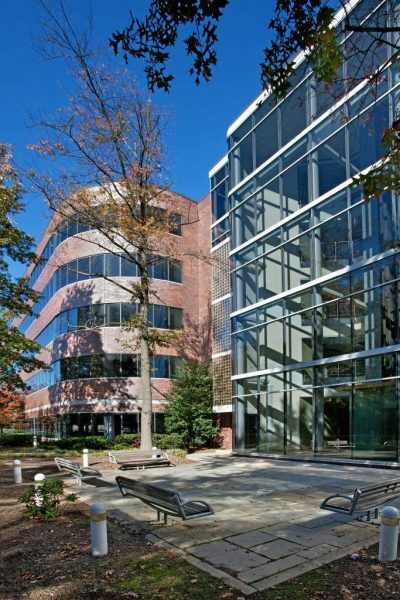 A Philadelphia-based developer has bought up 180,000 square feet of office space in Reston with plans to renovate it and add high-end amenities, in hopes of attracting tech companies. Rubenstein Partners announced last week it purchased the five-story building at 11493 Sunset Hills Road for $18.6 million. Unisys Corp. recently vacated the building after more than 10 years. 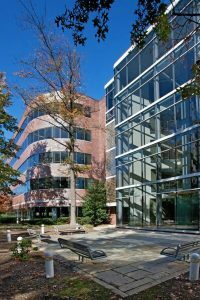 Built around 1988, the property is close to the Reston Station neighborhood, which is just a short walk from the Wiehle-Reston East Metro station. It also is near the Dulles Toll Road, Reston Town Center and Plaza America. Rubenstein Partners soon will begin work on updating the building with new high-end amenities to create a more modern feel, Dugard said. “The vision for the property is to convert it from a traditional office building to a high-tech magnet by refashioning the interiors to offer higher ceilings and a more open ‘industrial loft’ feel,” he said. In addition to all-new HVAC systems and a modern building management system, the building will get a fitness center, conference center and food service areas, according to plans from Rubenstein Partners. All renovations and additions are expected to be complete by the end of 2017. At that time, Rubenstein Partners will hand over operations to real estate firm Newmark Grubb Knight Frank, which will lease the space.